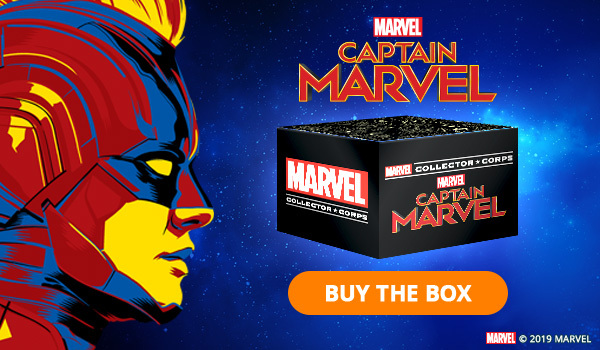 The March Captain Marvel Marvel Collector Corps box will include a Tee, so be sure to chose the right size when you order at Amazon.com. The Marvel Collector Corps subscription costs $29.99 each box & that includes FREE shipping! The Captain Marvel box is estimated to ship on March 28 (2019). Tagged Amazon, Captain Marvel, Collectible, Collector, Collector Alert, Figures, Funko, Marvel Cinematic Universe, Marvel Collector Corps, Marvel Studios, MCU, Subscription Box, T-Shirts, Toys.